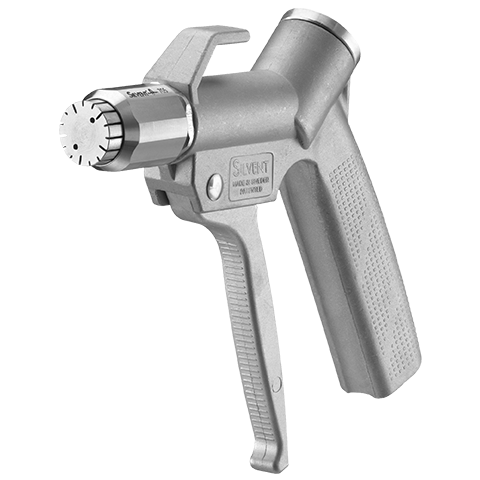 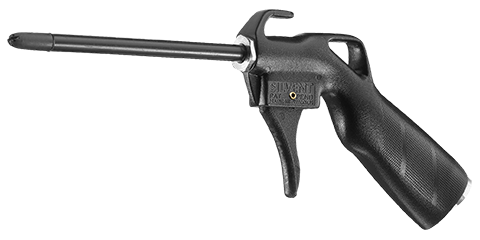 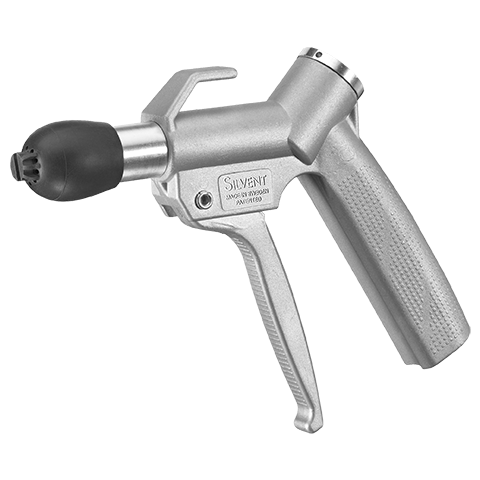 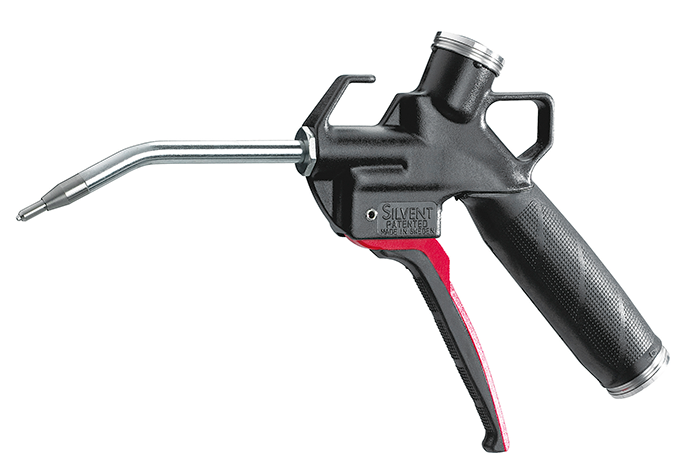 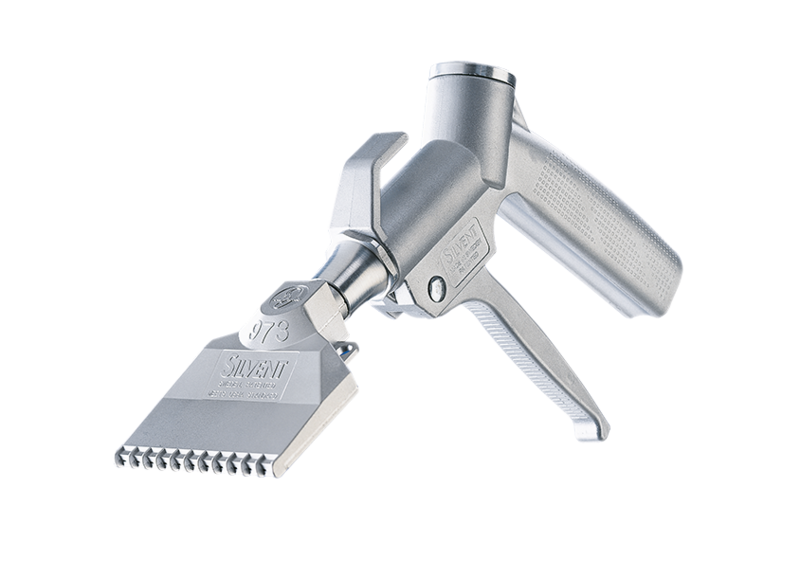 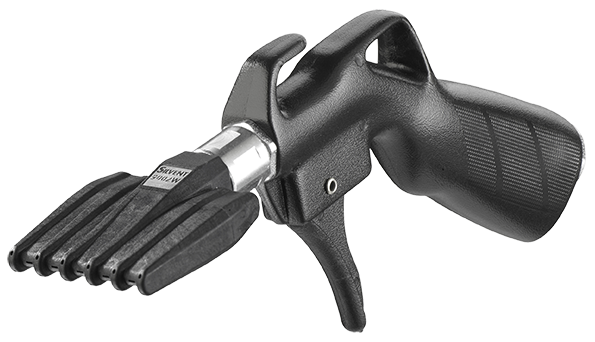 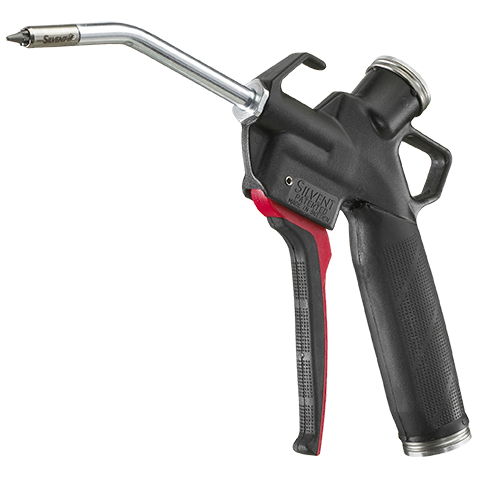 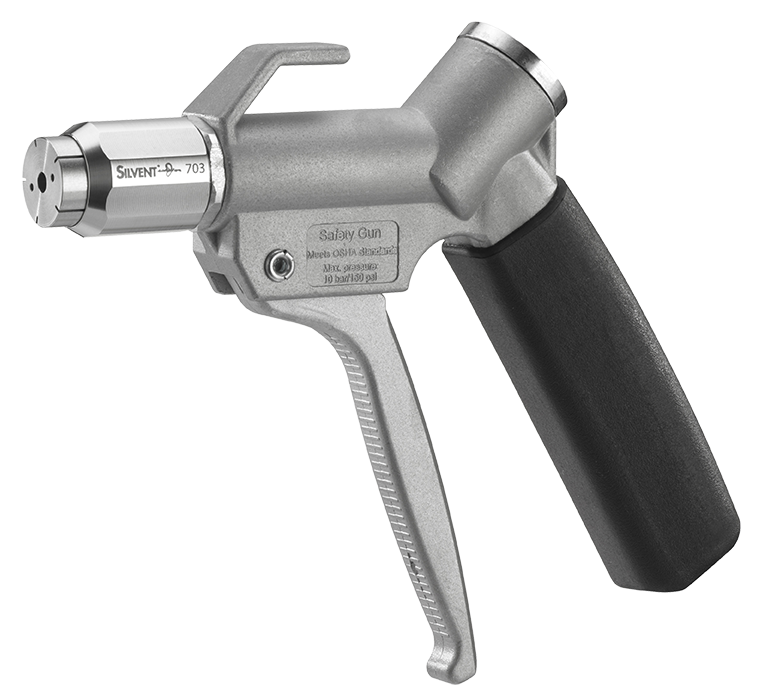 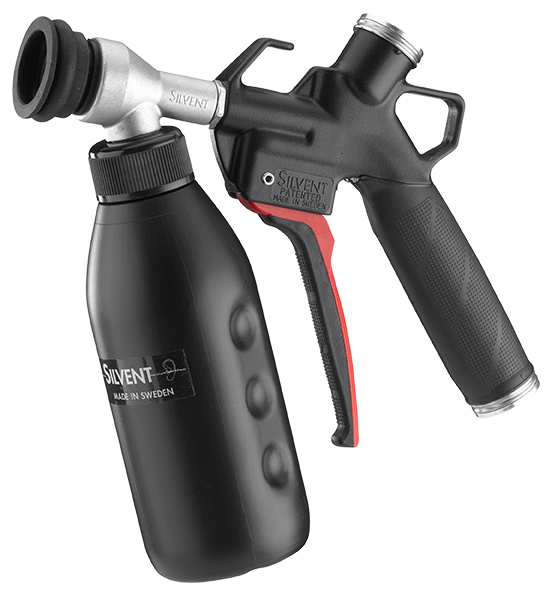 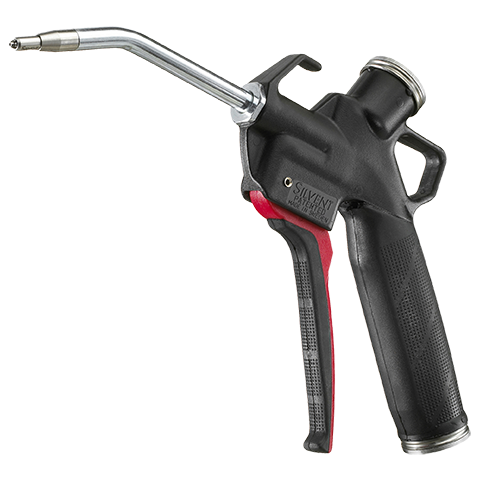 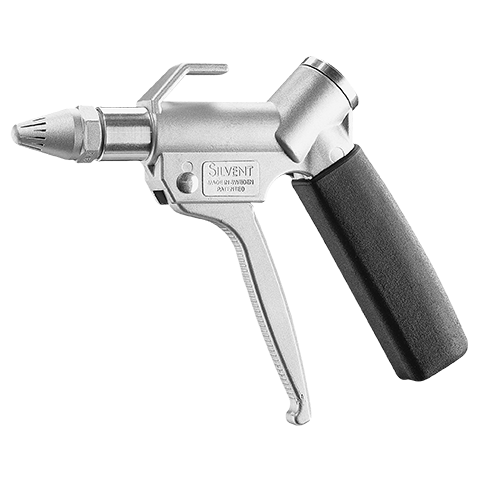 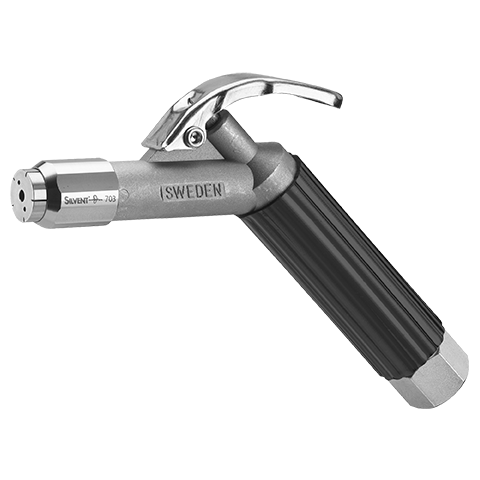 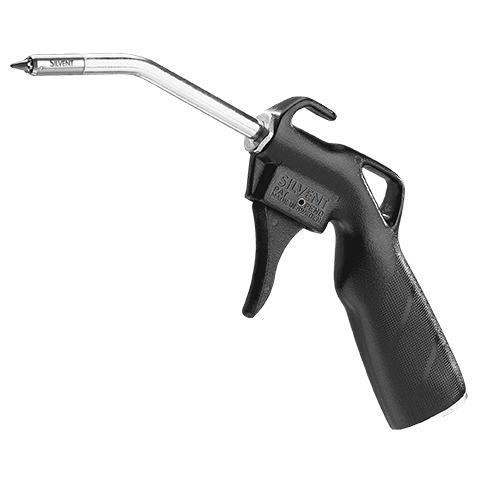 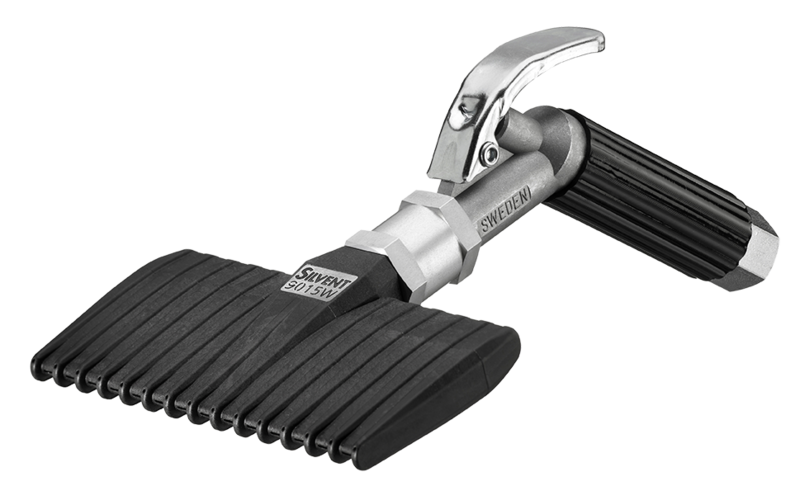 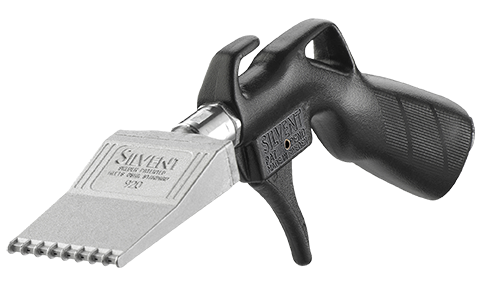 SILVENT 500-L: with a stainless steel Laval nozzle. 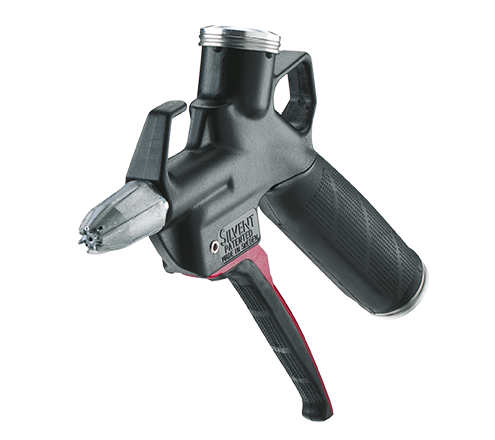 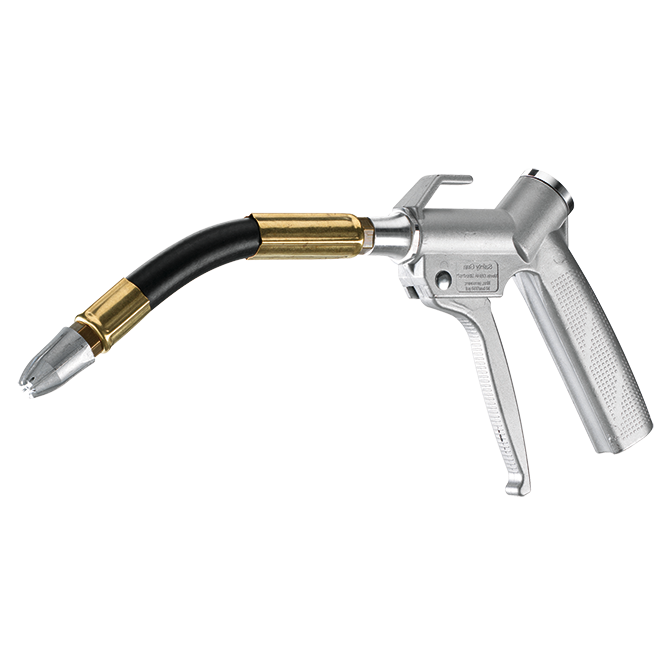 A Laval hole in the center of the nozzle creates a highly concentrated air stream that moves at supersonic speed. 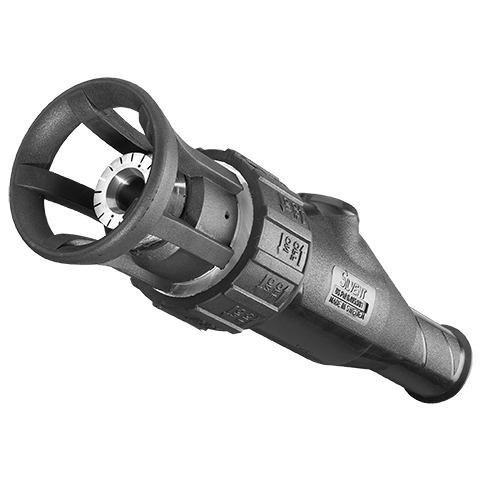 Around the Laval hole there are also a number of diverging slots that generate a powerful, quiet and laminar air flow. 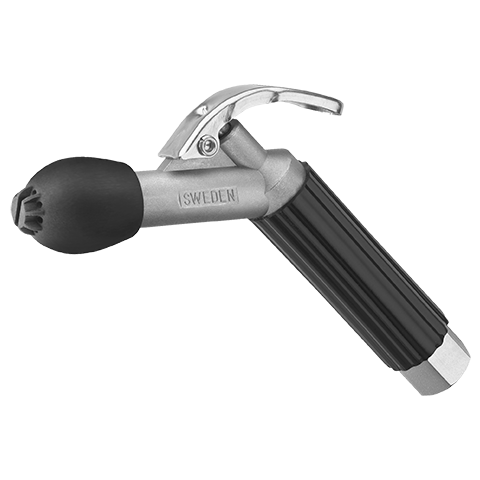 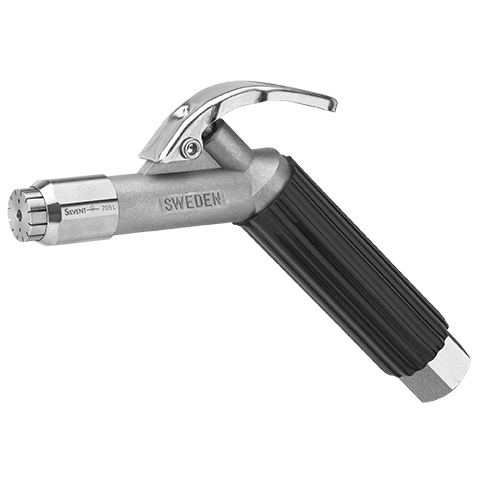 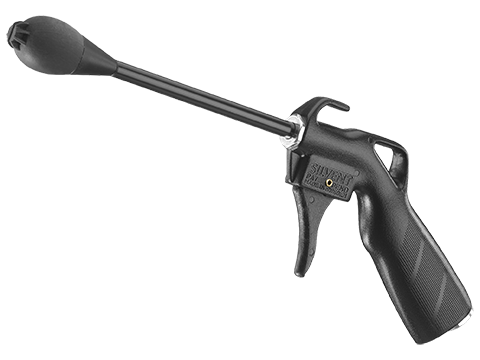 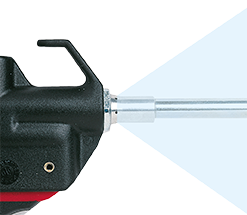 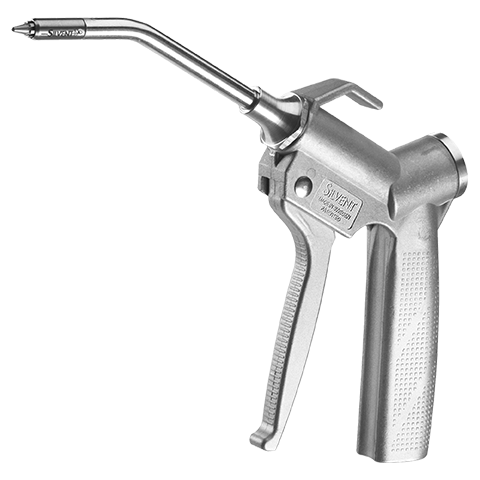 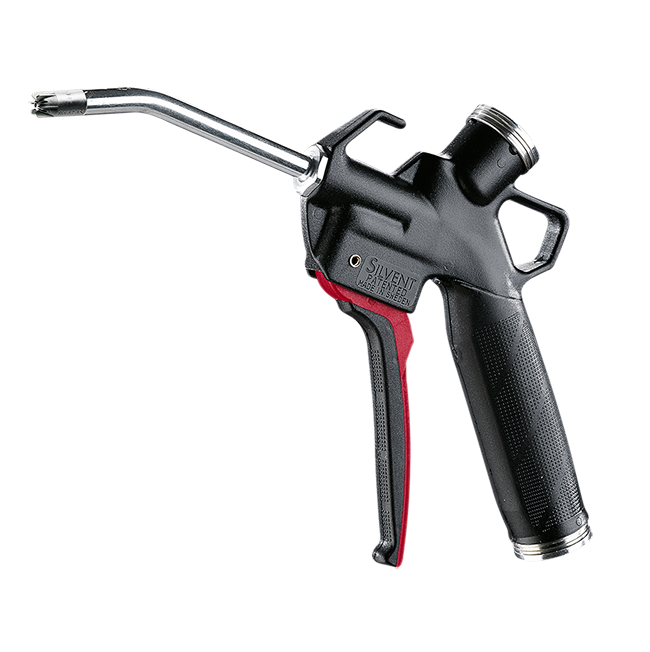 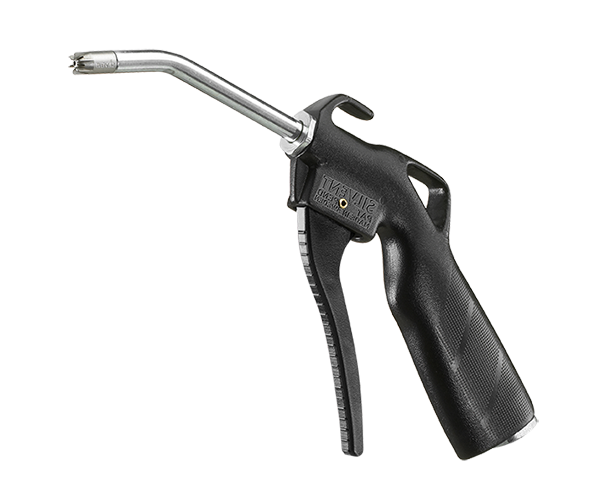 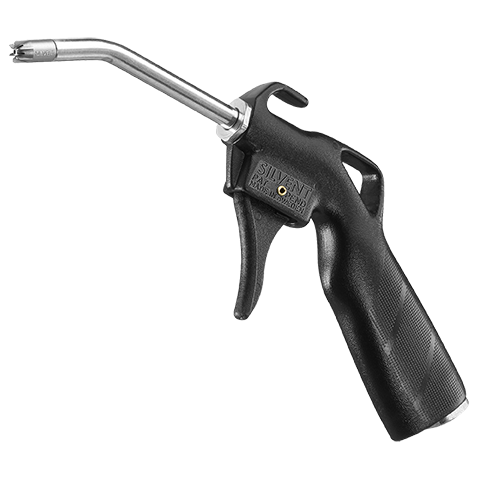 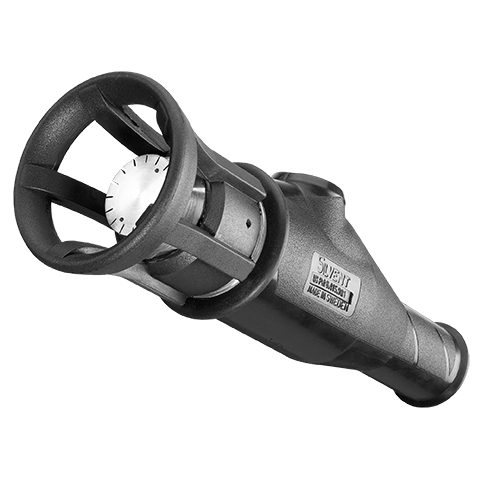 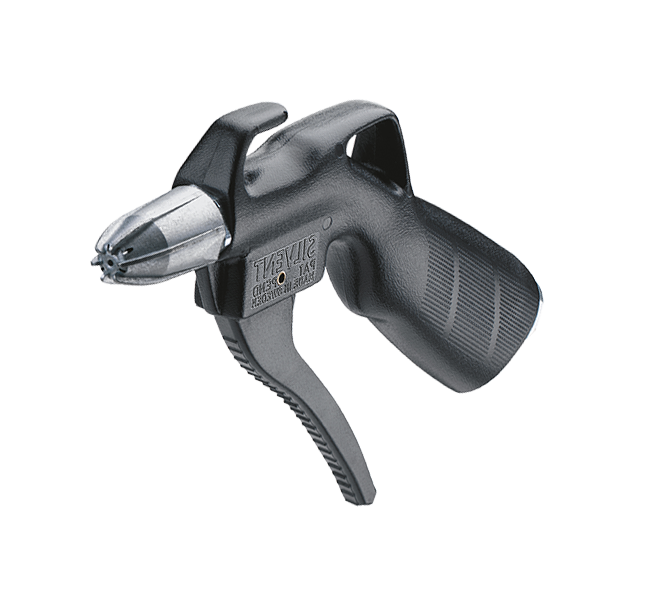 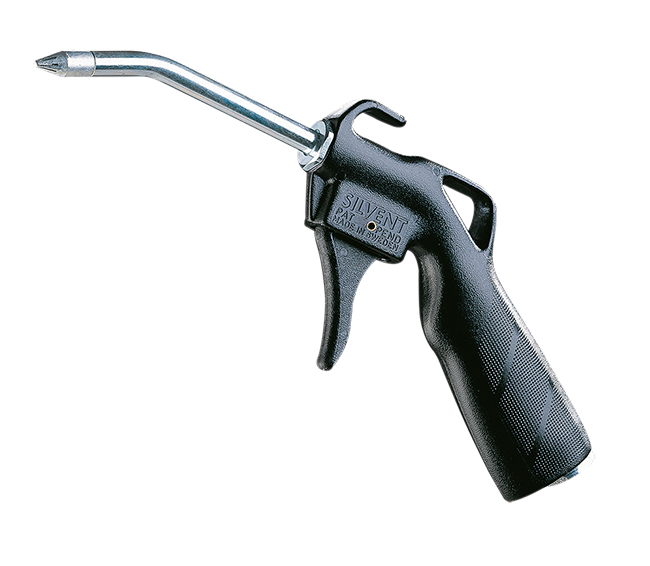 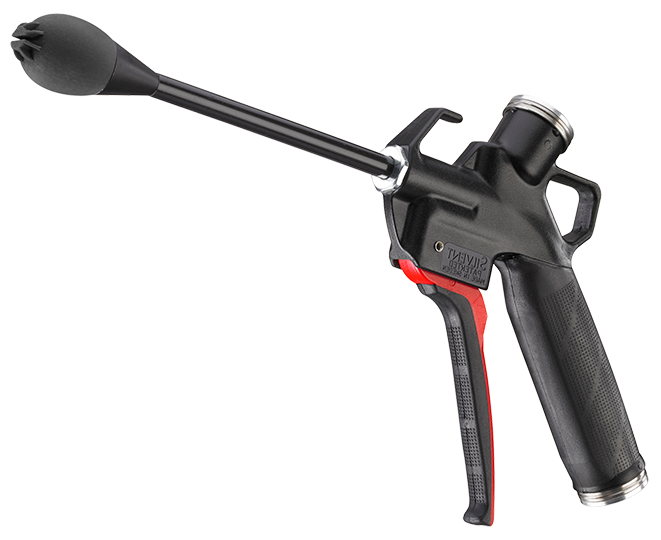 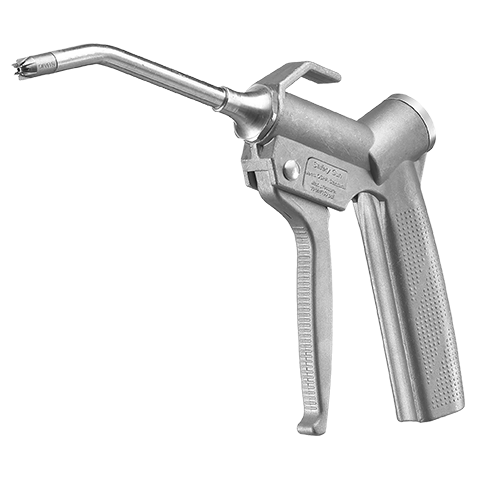 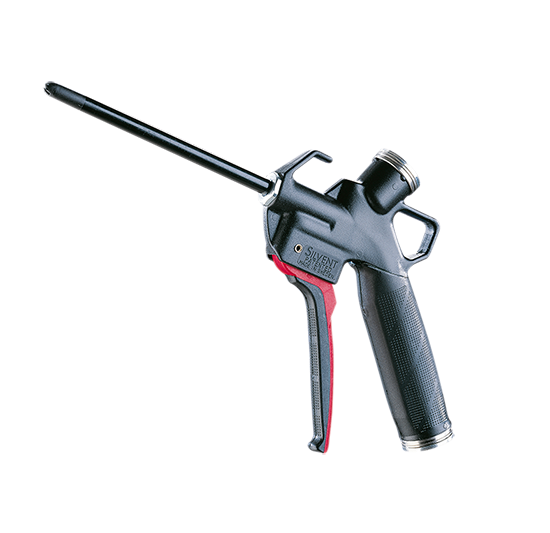 The combination provides superior cleaning performance and optimal utilization of the compressed air. 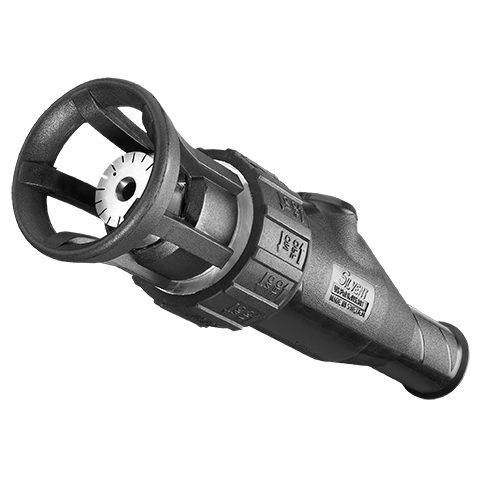 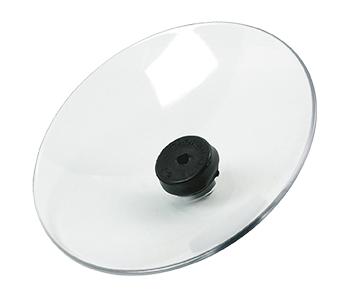 Fins prevent direct contact between skin and the outlet holes. 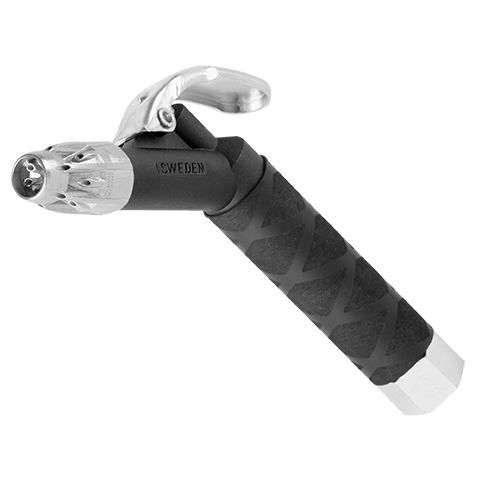 Blowing force 4.2 N (14.8 oz).